Eagle watching on your own can be a rewarding experience. It offers the flexibility to move from one location to another at your own pace. 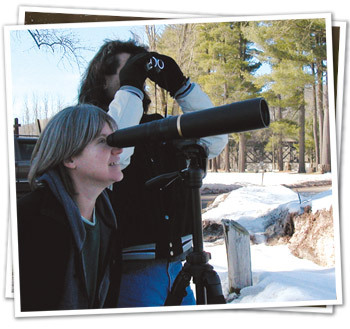 We encourage you to begin your outing at our winter field office in Lackawaxen, PA, where you can view an educational video, ask questions and learn about where the eagles are being seen. You can pick up free maps and literature, find out about road conditions and where to get a good cup of coffee! The winter field office is open weekends in January and February. You can follow our map to the designated viewing areas, where on winter weekends you will find our trained volunteers standing by to help you with extra binoculars, spotting scopes and answers to your questions. You’ll want to dress warmly and in layers and wear waterproof boots. Bring snacks for the time you’ll spend in your vehicle. Even though we have extra binoculars and spotting scopes, it is always helpful to bring your own if you have them. Birding field guides fill the time between sightings and help you to become more educated about eagles and other birds of our region. Check out the local hotels and inns listed on our Green Lodging Partnership page to find a great place to stay while you’re here. These hotels and their guests directly contribute to the healthy lands and clean waters that support eagles and their habitat in our region. Check the weather, and don’t take unnecessary chances with coming storms. Get in touch with us at info@delawarehighlands.org with any questions or concerns. Check our Facebook page for helpful hints or information from other eagle watchers. 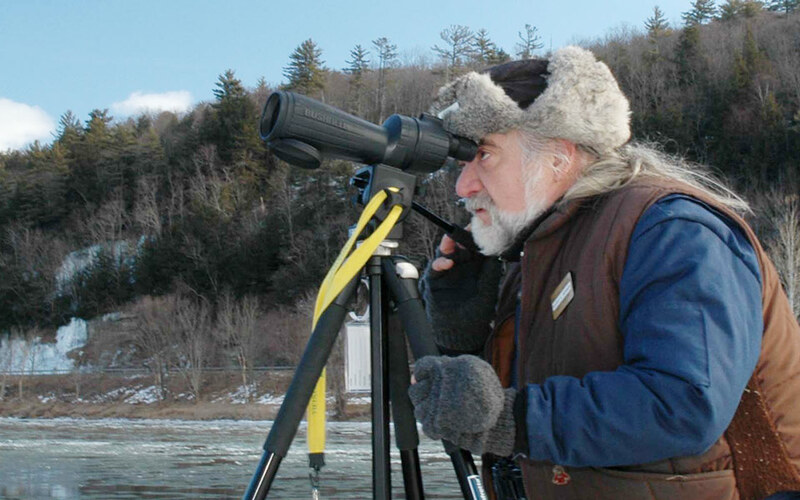 Use binoculars and a spotting scope instead of trying to get “a little bit closer.” Don’t do anything to try to make the eagle fly.